Christmas is undoubtedly one of our favourite times of year. The weather might be cold and a little wild outside, but indoors, it’s toasty and warm, and these long, dark nights can be a real joy when spent next to a roaring fire and surrounding by your friends and family. What’s more, it’s also the ideal holiday in which to explore some seriously high quality whiskies. The warming nature of our favourite spirit makes it perfect for sipping, especially after coming in from the frosty air, and those deep, spicy, sweet, and complex flavours are a seasonal delight that is hard to beat. While we’re all in favour of enjoying a wide range of whiskies at Christmas time (and those extra days of work certainly help in this regard), there’s something about a superb Scotch Single Malt that really hits the spot in the bleak midwinter. The essence of the blustery Highlands, made from crystal mountain waters by artisan distillers who really know their way around a still, is about as close to Christmas perfection as it’s possible to get. Whether you’re giving bottles of Scotch as gifts, or are hoping to receive something special from a loved one, it’s always helpful to have a good idea as to what’s really ticking all the right boxes on any given year. We’ve picked out five fantastic examples which are sure to make Christmas 2018 one to remember, and which whisky lovers are going to absolutely love both giving and receiving. With a wide array of styles, flavours, aromas, and characteristics on offer, we’re sure that there’s something in this selection to suit every Scotch lover’s palate. Put one or more of these on your wishlist or Christmas shopping list, and we can assure you that your holidays are going to packed with even more yuletide cheer than usual! Talisker is one of those absolutely iconic whisky distilleries which seems to be on a mission to consistently surprise and delight with their various creations. This particular distillery has real form when it comes to 18 year old releases. After all, who could forget the absolute powerhouse of flavour that was their 2007 release, which picked up the title of Best Whisky in the World at the World Whisky Awards of the same year? Their 2018 version is every bit as good, and features a barnstorming nose, packed with deep smokiness, intense fruity notes, and a full spice rack of intriguing aromas. On the palate, expect plenty of smoke and spice, all balanced beautifully with a gorgeous smattering of citrus, before giving way to a truly satisfying oakiness. It’s about as classic as Talisker gets, and is a fantastic choice for anyone looking for a top-notch Scotch at around the $100 mark. This Islay single malt has picked up something of a cult following over the past couple years, thanks in no small part to its massive endorsement by actor Nick Offerman (so much does he love this whisky, he insisted it was regularly featured in the TV show Parks and Recreation as the preferred tipple of his character, Ron Swanson). As a mid-priced single malt of huge personality and impressive smoothness, it’s a brilliant introduction to the Islay style for anyone seeking to broaden their whisky horizons. Not that this is just a single malt for beginners, though; it’s boisterous and complex enough to satisfy pretty much anyone looking for beautiful bottle of Scotch this Christmas. The creaminess and richness of Lagavulin 16 Year Old makes it a joy to drink, and once that initially roundedness of character fades, there’s plenty to explore as regards aroma and flavour. It’s a stunningly wintry whisky, with a real punch of smokiness and peat, but there’s also mountains of fruit and nut flavour in there, too. Best enjoyed with a drop of water, in front of a glowing log fire. Christmas perfection in a bottle! If you’re looking to bring a Bourbon fan over to the world of fine Scotch Single Malt this Christmas, then this fantastic bottle from renowned distillery Glen Scotia is the one that will do the job perfectly. Hailing from historic Campbelltown, this whisky is matured for 18 years in Bourbon barrels, and that depth of American sweetness can be found all the way throughout both the nose and the palate. While Bourbon fans will surely adore the molasses-touched richness of this amber whisky, there’s plenty for Scotch lovers to explore and admire in this bottle too. In fact, there’s multiple layers of flavour and character in Glen Scotia’s latest release, ranging from peppery spice through to dried fruits, citrus, cinnamon, cloves, and more. It’s a Christmas feast in every glass, and it’s sure to chase those winter blues away in real style! There has been plenty of talk over the past few years in whisky circles regarding the impact that the barrel brings to the bottle. 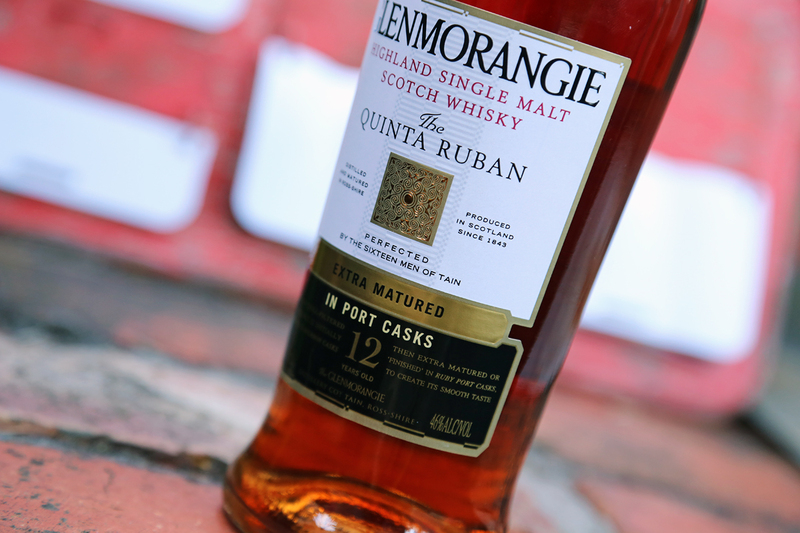 Glenmorangie have never shied away from experimentation in this regard, but the Quinta Ruban 12 Year Old well and truly demonstrates the incredible range of flavours that different barrel types can bring to a whisky. This release has spent 10 years maturing in American White Oak casks, before being transferred to Portuguese Port wine casks for the final two. The result is utterly stunning, and absolutely perfect for Christmas drinking. On the one hand, you have the lightly sweet, spiced, and oak flavours you’d expect for a whisky matured in American White Oak. However, those give way to deep berry notes, brown sugar, caramel, and fruit cake flavours, before revealing a dark Port character which is utterly irresistible. Perfect for sipping and sharing after Christmas dinner, and one you’re sure to come back to time after time. The Speyside distillery of Glenfiddich has really pushed the envelope when it comes to this surprising and deeply satisfying single malt. Jumping onto the IPA bandwagon is something only Glenfiddich would think of doing; they had a batch of IPA beer brewed specially, and they then matured a single malt whisky in the barrels… supposedly just to see what would happen. Well, what happened was that they ended up with one of the most interesting whiskies released this year, and single malt fans are jumping at the chance to get their hands on a bottle. Fascinatingly, that hoppy, grassy, and bitter IPA character really does come across in the glass, along with beautiful flavours of orchard fruits, plenty of malty character, and the kind of citrus finish fans of IPA beer love so much. It’s not a whisky for purists, but if you’re looking to buy a bottle for somebody who has their finger on the pulse of the latest trends, then this delicious and unusual bottle from this famed distillery is sure to hit the high notes. Armenian Brandy: Is It Cognac?